Over the past few years, Vietnam has become a new destination for tourists seeking a unique cultural experience, with the country’s untouched beaches, beautiful landscapes, and booming cities. However, very few people would associate Vietnam with modern healthcare. Sensing a need to cater to the growing number of upper and middle class patients in Vietnam, a large group of French doctors decided to set up FV Hospital, a luxury, modern hospital in bustling Ho Chi Minh City. Staffed with around 20 expatriate doctors, most of whom come from France but also America, Belgium and Korea, and with 80 Vietnamese doctors, most of them trained overseas, often in France- FV Hospital, which opened its doors in March 2003, has gained a reputation as a premier location for international quality healthcare in Vietnam. 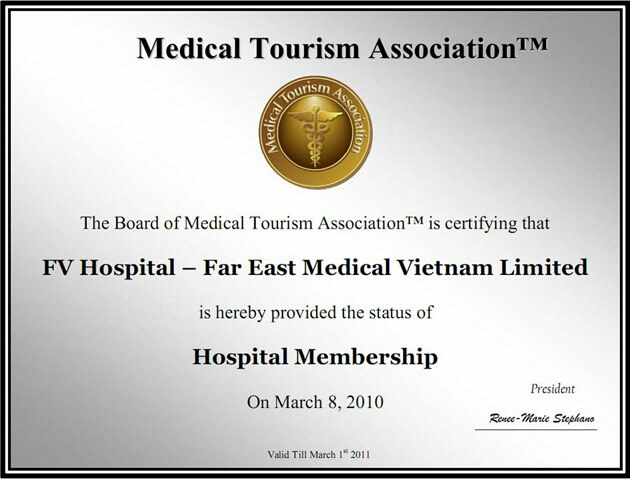 With international health care standards, and one of the most competitive pricing systems in the region, it comes as no surprise that FV Hospital, the first hospital in Vietnam accredited by the HAS (the French Accreditation Agency) is quickly becoming the first choice for both local and international patients alike.